Of all the rescue efforts that occurred during the Holocaust, perhaps the most well-known is the Kindertransport, the famous program that moved thousands of children out of Nazi territory. In honor of the observance of Yom Hashoah (Holocaust Memorial Day), which begins at sunset tonight, Jewish Treats presents a brief history of the Kindertransport. The idea, approval and planning of the Kindertransport happened after Kristallnacht (November 9/10, 1938). Several organizations were involved, most prominently the Movement for the Care of Children from Germany (later renamed Refugee Children’s Movement - RCM). The British government agreed to allow legal entry to England for unaccompanied children without limit. The children’s care and support was to be paid for by private citizens. On November 25, the BBC aired an appeal for foster homes and received hundreds of responses. 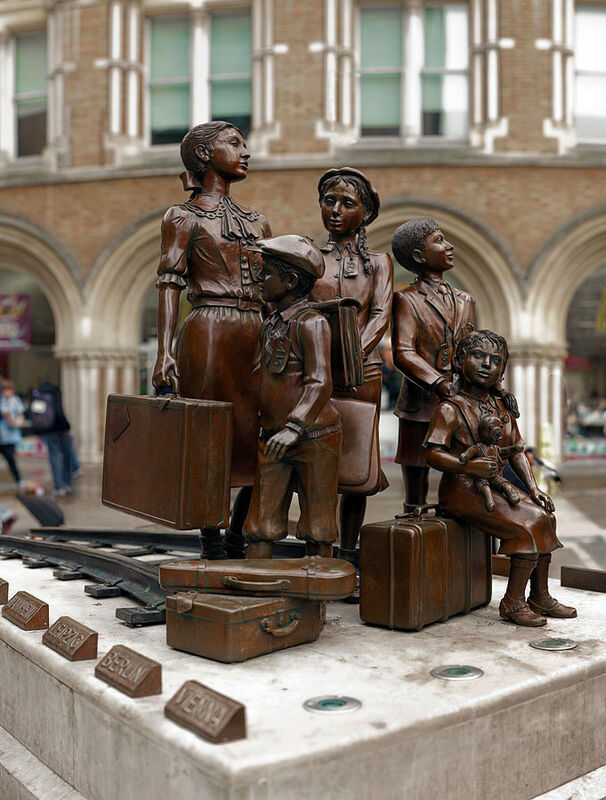 The first Kindertransport left Germany on December 1st and arrived the next day at the port of Harwich with 200 children, most of whom were from an orphanage that was destroyed on Kristallnacht. Over the next nine months, thousands of children from Germany and German-occupied territories were absorbed into private homes or sent to live in hostels or on designated farms. Life was not simple for the Kindertransport children. They arrived with only one suitcase, no valuables and little money. Most did not know English, and their foster family’s were often very culturally different. The children expected to return home in a few months, but the months turned into years and far too many children never saw their parents again. Close to 1,000 Kindertransport youth, upon reaching adulthood, were sent to internment camps as possible enemy aliens. However, a large number of these children also served in the war effort. 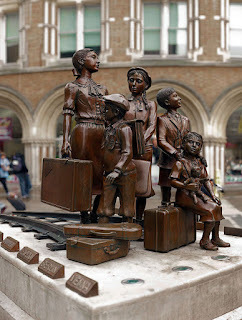 England was not the only Kindertransport destination. Some children were brought to France, Belgium, the Netherlands, or Sweden. Unfortunately, many later had to flee again as the Nazis marched in to those countries as well. The last Germany-to-England Kindertransport left on September 1, 1939 - the day Germany invaded Poland. The last of all Kindertransports was on May 14, 1940 from the Netherlands - the day before the Netherlands surrendered to Germany.